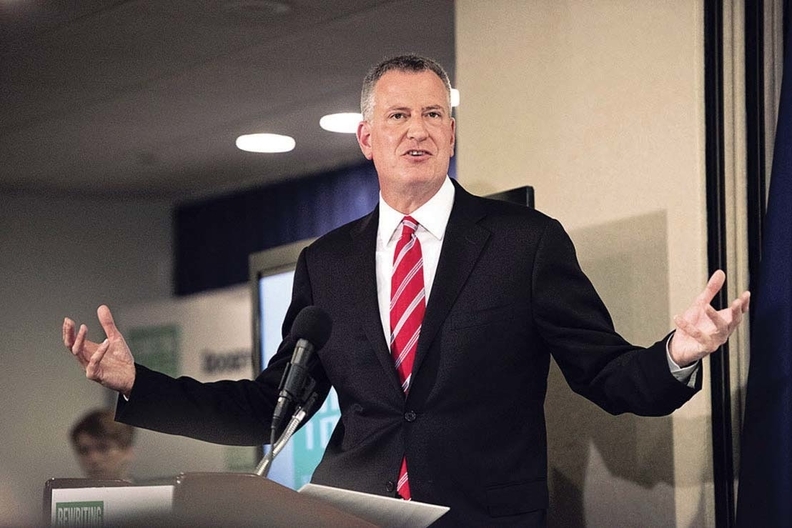 New York Mayor Bill de Blasio has included a 10.9% increase in funding for the city's public health system. NYC Health & Hospitals reported a $776 million operating loss for the first half of fiscal 2017, according to unaudited financial statements. The New York City public health system's operating loss widened by 84.5% over 2015, when the system lost $420.4 million. After investment losses and interest expenses, the system lost $842.6 million. The city paid the health system $78.8 million in capital contributions, resulting in a $763 million net loss. Enrollment in MetroPlus, its insurance arm, showed modest gains. But the system's goal of increasing the number of patients it serves is in jeopardy following declines in utilization at its hospitals and outpatient clinics, Crain's New York Business reported in January. A system spokesman downplayed the loss, citing the timing of government payments and accounting rules that count noncash costs, such as depreciation. The spokesman said the system is still on track to reduce the budget gap by $770 million for the current fiscal year by increasing revenue and lowering costs. Mayor Bill de Blasio increased support for the system by 10.9%, to $766.8 million for fiscal 2018, which begins July 1.